Shop for Jobs is an annual event held at The Pen Centre which allows Brock University and Niagara College students an opportunity to apply for part-time work during the school year. The job fair provides various opportunities for students to work in retail, customer service and food industries. Depending on your school schedule, a job at the mall could be the perfect solution for you if you’d rather work weekends, night shifts etc. This year the event will take place Tuesday, September 13th between noon and 6pm. Sign in at the Career Services booth for a chance to win a prize and ask any questions prior to meeting employers. Don’t forget to review your resume and customize your cover letters with a Career Assistant before the event! Do not wait till the last minute! The Resource Centre is a busy place during this time of year so be sure to give yourself enough time to have it reviewed and actually make the appropriate changes. You can speak with a Career Assistant about everything you should prepare before attending the job fair and pick up a Quick Tip postcard on the way out so you don't forget. 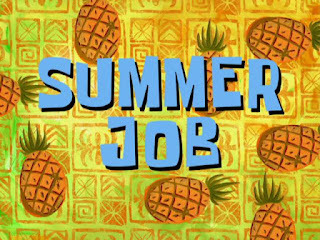 So, if you’re looking for a part-time job this school year, definitely check out Shop For Jobs! More information about the event and participating employers can be found on our website.